Firefighters are testing a "suspicious substance" found at a gate at Midway Airport. CHICAGO (WLS) -- Officials have determined a "suspicious substance" found at Midway Airport Wednesday night was not hazardous. 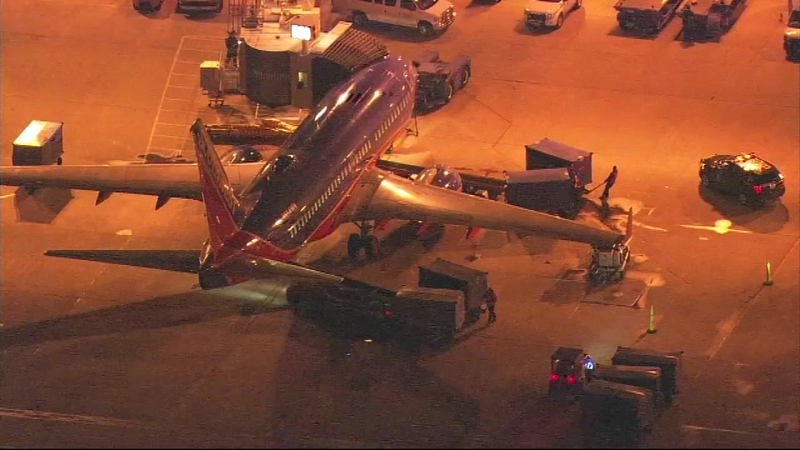 According to a Southwest spokesperson, the crew of Flight #539 from Midway to Fort Lauderdale alerted local authorities after discovering an "unusual" substance near the floor vents. An inspection deemed the substance safe, but the passengers were moved to another plane to minimize the delay, the spokesperson said. That flight was expected to arrive in Fort Lauderdale approximately 1 hour 45 minutes behind schedule. Southwest did not say if they were able to identify the substance.